The Hollywood Reporter reported today that Amazon were in final negotiations to acquire North American rights to The Lost City of Z. Read more about it below……. The streaming giant is in final negotiations to acquire North American rights to the Charlie Hunnam drama The Lost City of Z, set in the Brazilian rain forest. The film, which also Tom Holland, Robert Pattinson and Sienna Miller, is directed by James Gray and produced by Brad Pitt’s Plan B. The project, based on David Grann’s best-selling book of the same name, was originally set up at Paramount Pictures, where Pitt has a first-look deal. But the studio stalled on getting the drama off the ground, and Gray took back the rights and assembled independent financing from MICA Entertainment. Set in 1925, the true-life drama centers on British explorer Col. Percival Fawcett (Hunnam), who disappeared in while searching for a mysterious city in the Amazon. CAA, which reps Hunnam, Gray and Pitt, brokered the deal for the film, which adds a big-budget epic to Amazon’s portfolio. Sierra/Affinity handled international sales at the European Film Market and will continue to sell remaining territories at the upcoming Toronto Film Festival. With Lost City of Z going to Amazon on the eve of TIFF, there will be heightened interest from buyers for another Hunnam film, Papillon, which also is being shopped at the market. Lost City of Z’s land at Amazon provides a final dramatic twist for the long-gestating project, which was originally developed as a Pitt starring vehicle. Benedict Cumberbatch also was previously set to star but bowed out to headline Marvel’s Doctor Strange movie. As with all of its film deals, Amazon partners with traditional distributors to include a theatrical component to its release as it did with Woody Allen’s Cafe Society, Nicholas Winding Refn’s The Neon Demon and Whit Stillman’s Love & Friendship. Likewise, it will partner with a distributor for Lost City of Z at a later date, but insiders say that Paramount may re-emerge in that capacity. 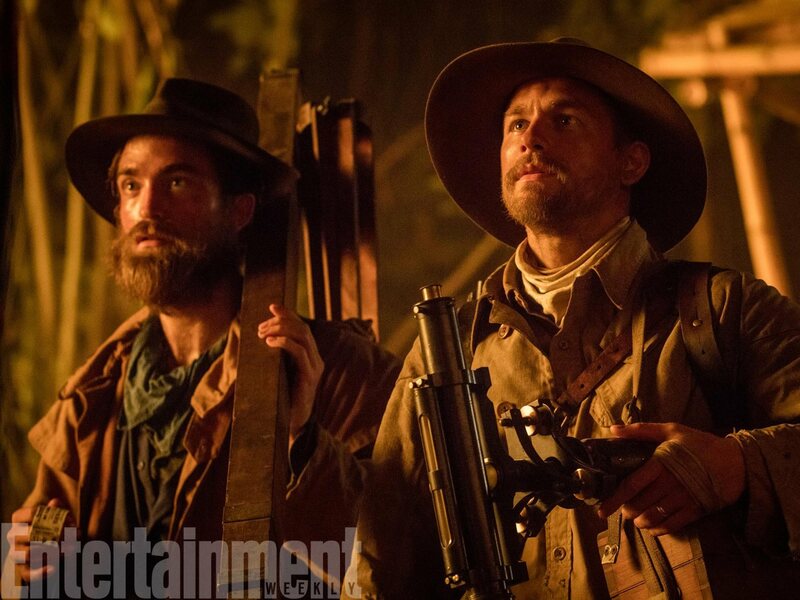 Lost City of Z will make its world premiere at the New York Film Festival on Oct. 15 in the prime closing night spot. Pitt, Dede Gardner and Jeremy Kleiner are producing via Plan B alongside Dale Johnson and Anthony Katagas. Marc Butan is executive producing, as are MICA Entertainment’s Julie B. May and Glenn Murray.